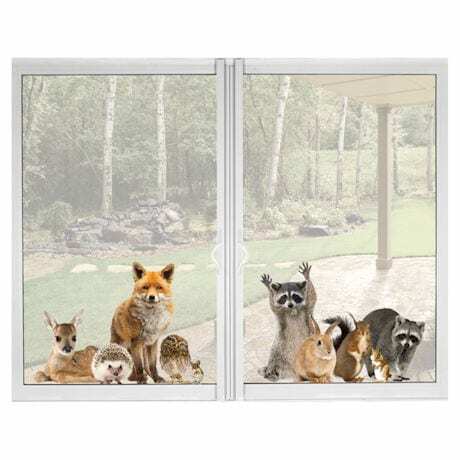 These cute little critters want to come inside! Peel and stick vinyl cling features fox and friends peering in from your patio door or window. 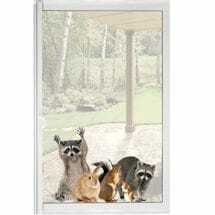 Raccoon and Friends Window Cling (CS1609) sold separately. Removes without residue. 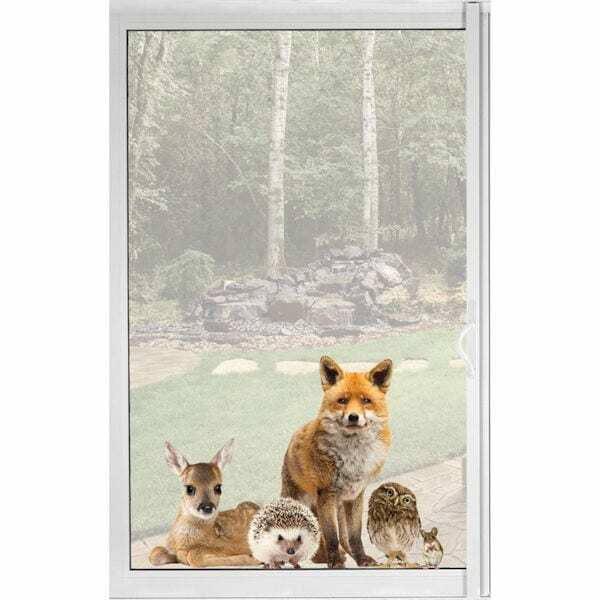 Image is printed on front and back. Made in the USA. 22.5" x 16".